If you’ve ever created a voice note in the Evernote mobile client and then tried to play the files through Evernote on your Windows desktop, you’ve probably seen the obnoxious message that tells you to install RealPlayer. Yeah, like we want to do that! 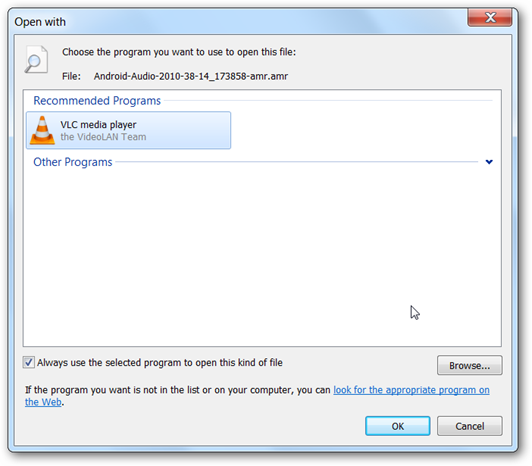 The message says “In order to play audio notes using the mobile AMR audio format, you need to install an audio player such as RealPlayer that supports AMR files. Considering the fact that the button actually links you to the RealPlayer home page, one has to wonder why Evernote decided to use that format for the mobile audio recording instead of an open format that could be played back directly. What we’ll do, instead, is setup VLC to player .AMR files, and then we’ll use a registry hack to force Evernote to recognize VLC as the player for .AMR files. Note: there’s some chance that you might not encounter this message and your PC might be configured properly. 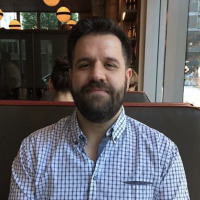 In which case, why are you reading this article? Go check out How-To Geek ETC for some fun links. Before you do anything else, you should make sure that you’ve got VLC installed on your PC. It’s the swiss army knife of media players, afterall. 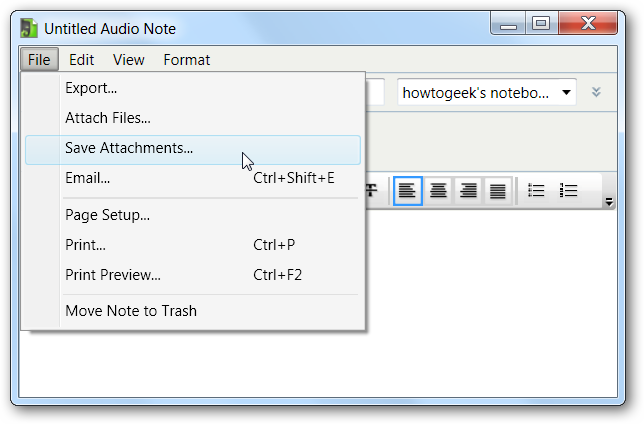 The next thing you’ll want to do is save out the attachment to your desktop by opening up the note and selecting File –> Save Attachments, and saving it to your desktop. If the file type icon shows up blank, like mine did, that means that VLC is not currently assigned as the default player for that file type. Note: assignment of the file type might have already happened during install of VLC, but maybe not. If it did, skip down further. 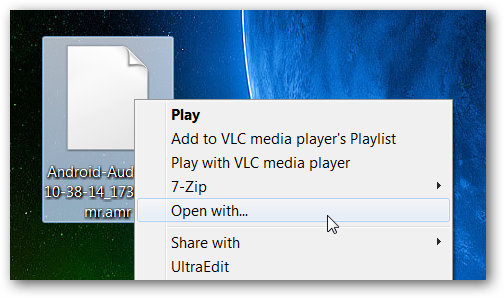 If you right-click the file and choose Open with, you can choose VLC media player in the list, and make sure to check the box for “Always use the selected program to open this kind of file”. Once there, you’ll want to create a key called .amr by right-clicking on Classes and choosing New –> Key. 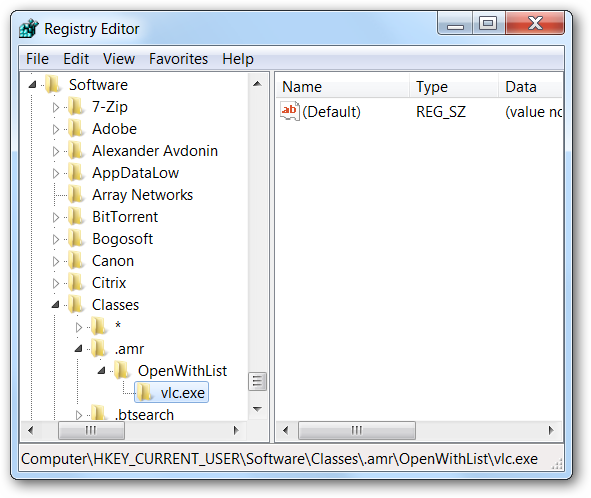 Then create one under that called OpenWithList, and another one underneath that called vlc.exe. Or… you can just download this file, unzip it, and double-click on it to enter the information into the registry. 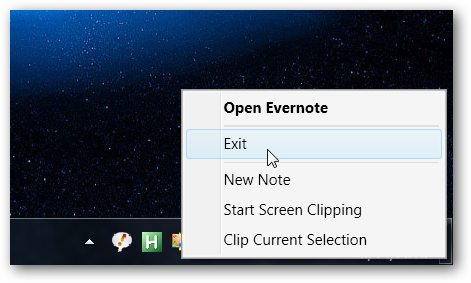 This is probably wise to do every so often anyway, but you will want to completely exit Evernote by choosing File –> Exit, or choosing it from the tray icon. 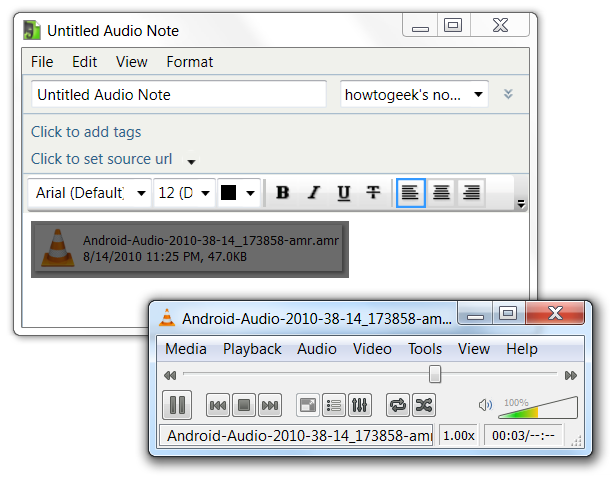 Once you’ve started up Evernote again, you should be able to double-click on any mobile audio file and play it in VLC. Once again, registry hacks saved the day. At least on my PC.